Miami Dade College’s Miami International Film Festival will kick off its 32nd annual fete with the Florida premiere of Argentinean director Damian Szifron’s “Wild Tales” (Relatos salvajes) on March 6 in the historic Olympia Theater at the Gusman Center, followed by the opening night party at the Freedom Tower of Miami Dade College presented by Patron, featuring culinary offerings from Miami’s top Argentine restaurants. 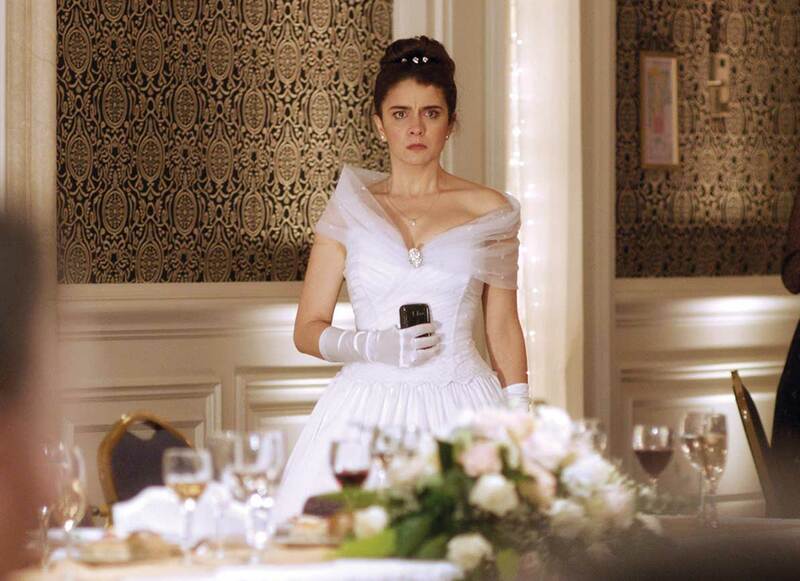 “Wild Tales” is a compendium of six standalone shorts united by a theme of vengeance. The major closing gala will also take place at the Olympia with the international premiere screening of Spanish director Alvaro Fernandez Armero’s “Sidetracked” (Las ovejas no pierden el tren) on March 14 followed by Patron XO Café’s closing awards night party at the Alfred I. Dupont Building. “Sidetracked” follows a couple in a mid-30s life crisis with stalled careers, a forlorn son and dysfunctional siblings. For 10 days, the only major film festival worldwide produced and presented by a college or university will showcase a wide variety of Ibero-American cinema for sheer enjoyment, educational opportunities and the discovery of new talent. In the past five years, the festival has screened films from more than 60 nations, including 300 world, international, North American, US and East Coast premieres. This year, the festival features filmmakers from 40 countries exhibiting 125 films. There will be 94 features and documentaries, 18 short films, 11 student films and two works in progress, of which there are numerous premieres: 14 world, 6 international, 22 North American and 12 US. All feature films are eligible for the Lexus Audience Favorite Feature Film award. New this year, all short films are eligible for their own Lexus Audience Favorite award. The festival is joining forces with New York City’s Film Society of Lincoln Center for the US premiere of Chilean director Cristian Jimenez’s “Voice Over” (La voz en off) here in Miami and – just days before – in New York’s Film Comment Selects 2015. “Voice Over” is the story of unexpected family issues that are revealed when a 35-year marriage disintegrates. Described as both comedic and dramatic, Mr. Jimenez’s third feature film chronicles and envisions the modern-day Chilean family in the face of new social freedoms. International and domestic filmmakers will vie for $57,500 is cash prizes. Five juries – selected from directors, producers and writers in the Hollywood studio system and independent cinema – will award prizes. The Knight Competition, presented by The James L. & John S. Knight Foundation, will award $40,000 to an outstanding film, director and actor selected from 11 in the category; the Lexus Ibero-American Opera Prima Competition will award $10,000 to an outstanding film selected from five in the category; Jordan Alexander Ressler Foundation Screenwriting Prize will award $5,000 to one feature-length screenwriter whose first produced script is featured in the festival from among 18 eligible entries; CinemaSlam will award several prizes, including a $500 Sara Fuller scholarship from FilmFlorida to one winning film from among 11 student finalists; and Park Grove Shorts Competition will award $2,500 to one film from 11 finalists. Major sponsors of the 2015 Miami International Film Festival include the Knight Foundation, Lexus and Miami-Dade County.